A conviction for any alcohol or drug offense can have serious long term negative consequences for a person. This can impact a young person not only for employment, but also college applications, trade schools, licensing and certifications, and of course, insurance. Just because the consequences are less than a regular DUI does not mean that you should take this charge lightly. 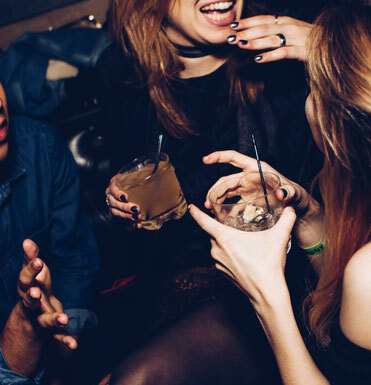 In Washington state, there is a zero tolerance policy when it comes to alcohol or drug levels for minors, meaning any alcohol or drugs in your system can lead to a criminal charge. If you are under the age of 21 and are arrested for driving while under the influence or physical control, you may face two very different scenarios depending on a number of facts, and ultimately, how the prosecutors choose to charge you. If you have a breath alcohol test at or above .08, a level or marijuana at or above 5 ng/ML, other prescribed or non-prescribed drugs in your blood, or a combination thereof, you will likely be charge with a standard or normal DUI. If so, you would be subject to all the mandatory consequences of a DUI conviction. You can read more about those consequences here. The other option is if you are charge with what is commonly referred to as a Minor DUI, found in RCW 46.61.503. See below for more details on Minor DUIs. If you or your child is charged with a Minor DUI, don't wait, talk to an experienced DUI attorney as soon as you can. If you would like to set up a free consultation or schedule a phone conversation, please call us at 253-383-3328 or e-mail our legal staff at Office@williamawhitelaw.com. What is a Minor DUI? Driver under 21 consuming alcohol or marijuana can be found in RCW 46.61.503. First, let's see what the statute says. Driver under twenty-one consuming alcohol or marijuana—Penalties. (ii) A THC concentration above 0.00 but less than the concentration specified in RCW 46.61.502, as shown by analysis of the person's blood made under RCW 46.61.506. (2) It is an affirmative defense to a violation of subsection (1) of this section, which the defendant must prove by a preponderance of the evidence, that the defendant consumed a sufficient quantity of alcohol or marijuana after the time of driving or being in physical control and before the administration of an analysis of the person's breath or blood to cause the defendant's alcohol or THC concentration to be in violation of subsection (1) of this section within two hours after driving or being in physical control. The court shall not admit evidence of this defense unless the defendant notifies the prosecution prior to the earlier of: (a) Seven days prior to trial; or (b) the omnibus or pretrial hearing in the case of the defendant's intent to assert the affirmative defense. (3) No person may be convicted under this section for being in physical control of a motor vehicle and it is an affirmative defense to any action pursuant to RCW 46.20.308 to suspend, revoke, or deny the privilege to drive, if, prior to being pursued by a law enforcement officer, the person has moved the vehicle safely off the roadway. (4) Analyses of blood or breath samples obtained more than two hours after the alleged driving or being in physical control may be used as evidence that within two hours of the alleged driving or being in physical control, a person had an alcohol or THC concentration in violation of subsection (1) of this section. (5) A violation of this section is a misdemeanor. Let's break down each of the above bold sections to see how a Minor DUI is different than a normal DUI. The first big difference is that a Minor DUI is a misdemeanor, meaning the maximum power of the court is to sentence you to 90 days in jail and/or a $1,000 fine. The likelihood of being sentenced to the maximum is extremely unlikely. A regular DUI is a gross misdemeanor which carries a maximum sentence of 364 days in jail and/or a $5,000 fine. So, this difference is pretty substantial to begin with. In addition, there is no mandatory jail time or mandatory fines, as is required under a regular DUI. Second, the levels of alcohol and marijuana are different. Due to the science involved with breath/blood alcohol testing, the lower threshold limit for a minor is .02. To qualify for a charge of Minor DUI your level must be below the the .08 regular DUI threshold. As you can see, there is no buffer when it comes to the marijuana limits, and any marijuana in your system can get you in trouble. The other big differences between a Minor DUI and a regular DUI is the lack of a mandatory ignition interlock device. Thus, if you are convicted of a Minor DUI, you will not be required to equip your vehicle with an ignition interlock device unless the judge adds this as a extra condition of sentence. Finally, a conviction for a Minor DUI is not considered a "prior" for charging or sentencing purposes if you are charged with a DUI at a later time. However, both prosecutors and judges will take your conviction into account, and it could affect any potential plea offers, alcohol evaluations and follow up treatment, and sentencing. Are there any license consequences? An arrest for a Minor DUI, just like an arrest for a regular DUI or physical control, will trigger a license suspension from the Department of Licensing. A license suspension will be at minimum 90 days. If you want to challenge this suspension, you have 20 days from the date of the arrest to request a hearing from the DOL. This requires you to send the DOL a hearing request form and a hearing request fee of $375. You can find more about the DOL license hearings here.